Enjoy a sightseeing extravaganza with hop-on, hop-off access to different bus routes across Abu Dhabi and Dubai. Learn about the emirate's vast history and rich culture with the help of pre-recorded multilingual commentary onboard the comfortable, air-conditioned double-decker buses. Explore the two Emirati cities in 24 hours with these Hop-on Hop-off tickets that give you 2 full days to explore both cities! The Abu Dhabi tour has 2 well-planned routes and over 20 stops that enables you to explore the city of Abu Dhabi. The Dubai tour has 3 well-planned routes and over 30 stops that enables you to explore the city of Dubai and you will benefit from complimentary access to over 10 museums. Enjoy immersive commentary of both cities with pre-recorded commentary in 12 languages onboard the bus. Convenient stops and regular frequency of buses let you plan your itinerary with greater flexibility. 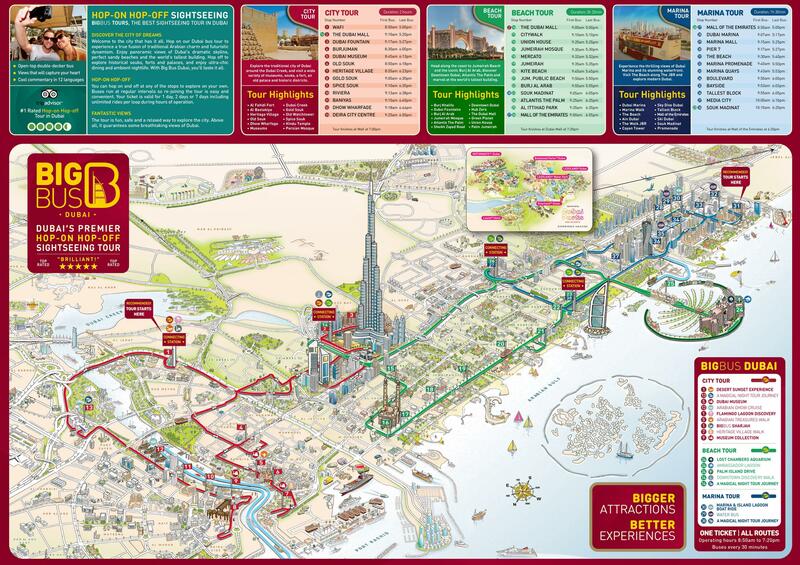 This combo tour pass gives you access to the hop-on-hop-off tours in both Abu Dhabi and Dubai. You have the flexibility to explore either city! The tour covers all major sights and attractions in both cities including the Burj Khalifa, Burj Al Arab, Sheikh Zayed Grand Mosque, Sky Tower, and more. The buses run regularly from 9:00 AM - 5:00 PM and let you hop on/off as many times as you please. Additionally, you also get access to 10+ museums in Dubai, and entry to Sheikh Saeed al Maktoum’s House. Unlimited access to the hop-on-hop-off buses in Dubai & Abu Dhabi for 24 hours in each city, 48 hours in total. 10 Museums entry in Dubai. Please contact a staff member once your board the bus to inquire about redemption for the complimentary museum entry. The buses run at a 90-minute frequency between 10:00 AM and 5:30 PM. First tour from Stop 6 (Sheikh Zayed Mosque): 9:45 AM. Last tour from Stop 6 (Sheikh Zayed Mosque): 5:45 PM. You can hop off at Stop 6, to change to the Yas Island Drive (Green Route). First tour from Stop 25 (Ferrari World): 11:05 AM. Last tour from Stop 25 (Ferrari World): 6:35 PM. If you would like to visit Ferrari world while you're there, click here for tickets. Abu Dhabi languages included: Arabic, English, German, French, Spanish, Italian, Russian and Mandarin. Dubai languages also include Hindi, Farsi, Japanese and Brazilian Portuguese. All buses have a ramp for wheelchair access. We always chose the hop-on-hop-off tours whenever we are traveling. We were glad to find this one on the Headout website and that too at big discounts. Headout is a reliable source, didn’t have a problem with redeeming the tickets. I was worried about the authenticity given the cheap rates but it turned out alright. Purchasing the ticket was easy but we didn’t fully utilize the ticket. We ended up spending the day at our leisure at the Mosque and the Souk so it wasn’t worth the money. You will get an email confirmation shortly. Please display the same on your mobile phone with a valid photo ID before or after you board the bus at any of the stops your pass is valid for. The ticket is valid up until 6 months from the date of purchase. The day on which you exchange your voucher counts as the first day of your pass.